Being a mother of two beautiful children—Anthony and Lisa—I love taking the time to pause, reflect and celebrate the most important job there is—motherhood. My children have taught me more than I have taught them. They have taught me a depth of love and understanding I never imagined possible. To me motherhood is a spiritual journey. Now my children are grown and have their own children. I’m amazed and grateful for every moment I get to be with them. My father died when I was very young, so I was brought up without a father. My mother (Renee) pulled double duty to make sure we had everything she could possibly give us. Part of my fascination with skincare was inspired by my mother. Renee taught me about good grooming at a very young age. 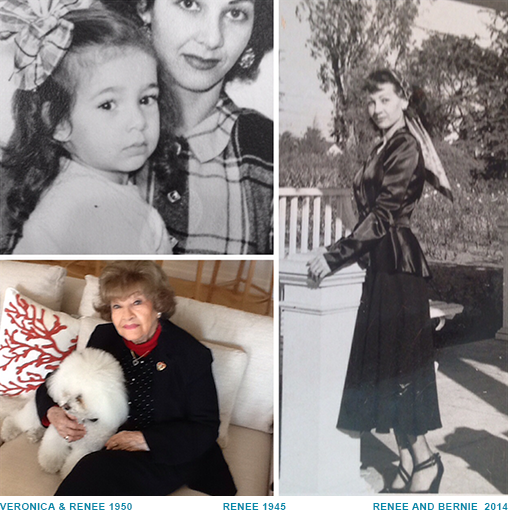 My mother is 93, and I’m still amazed how she puts herself together everyday. I was a sun worshiper from the age of 12. I loved the sun and the ocean, and those were the early days of surfing and Bain de Soliel. My mother tried to tell me about the harmful rays of the sun back then, but the beach was calling me. Renee couldn’t believe how tanned I got, and cringed when she saw me. I was proud of my tan…what did I know, I was young and a surfer girl! She’s the one that started my love affair with hats, lotions and french perfumes. Her dresser was always displayed with beautiful perfume bottles and her favorite creams. After getting my license in skincare and becoming certified in aromatherapy, I tried to reverse the damage of sun exposure to my own skin. Because of the advanced technology in skincare, we’re lucky to have active ingredients in products that really work. These products can help strengthen skin. In my next blog I’ll share with you tips on helping repair sun damage and maintaining healthy skin. I feel fortunate to be in the spa and wellness industry, where I can explore and research products and treatments and their impact on our physical, emotional, and spiritual wellbeing. And more importantly, how fortunate we are to be mothers, have mothers, or have figures in our lives to inspire us and gently guide us. The most beautiful necklace a mother can wear is not pearls or gems, but her child’s arms around her neck.